Liverpool winger Lazar Markovic has completed a late deadline day move to Fulham, bringing an end to his miserable stint at Anfield. The Serbian international failed to make an impression during his four-and-a-half years at Liverpool, having joined from Benfica for £20m back in 2014. Markovic quickly fell out of favour on Merseyside and spent time on loan at Hull City, Fenerbahce, Anderlecht and Sporting Lisbon. Despite several clubs being interested in a move for the winger last summer, he remained put at Anfield and had been training alongside the U23s side. Markovic’s initial five-year contract runs out in the summer and the January transfer window was the last time the Reds could command a fee for the 24-year-old. However, it is understood that the winger has instead made a free move to Fulham, with the Reds saving up to £1.7m in wages and bonuses for the remainder of the season. Markovic signs a six month contract with the London club, effectively becoming a free agent in the summer should he fail to impress. The Cottagers announced the deal in the early hours of Friday morning, having submitted a deal sheet to the Premier League just before the transfer deadline. An announcement on their website revealed the role of current Fulham striker Aleksandar Mitrović in the move, who recommended Markovic to the club. 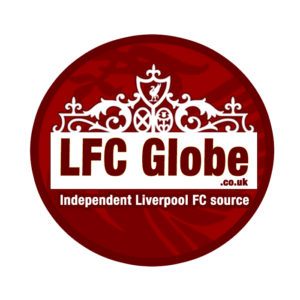 “The Club is delighted to confirm the free transfer signing of 24-year-old winger Lazar Markovic from Liverpool on a deal until the end of the season,” it read. Markovic made 34 appearances in all competitions for the first team, scoring a mere three goals.